1 Corinthians 15:1-1:8 (Part of the Featured series). Preached by Larry W. Dean on April 1, 2018 (Sunday Morning). 1 Corinthians 6:19-20 (Part of the Featured series). 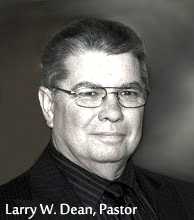 Preached by Larry W. Dean on December 18, 2011 (Sunday Morning).